General Conference 2010 gets started today in Grantham, Pa. For those who aren’t attending as delegates, probably the biggest draw of this biennial gathering is the denomination-wide Bible quizzing tournament. Quizzing has been a part of Brethren in Christ life since the 1950s. (In fact, denominational Bible quizzing celebrated its fiftieth birthday just a few years ago.) And because the biggest Bible quizzing event of the year — denominational quizzing finals — is held at each General Conference, quizzing has often been linked to that major gathering. Art Bert (fourth from left in picture), who quizzed for the Upland Brethren in Christ Church’s quiz team in the 1960s, remembers how quizzing afforded him the opportunity to feel like a participant in General Conference events — even though he was too young to actually be involved. I think “denominational perspective” was an important indirect byproduct of my time in quizzing. In those years, General Conference met every year, instead of every second year. The Upland team was fortunate enough to win the regionals every year for five years straight. So for five years, I got to make the complete rounds of every General Conference meeting site: four times as a quizzer and once just as the coach’s kid. It was a wonderful way to observe the diverse elements of our denomination and to feel like I was rubbing shoulders (very young shoulders!) with the movers and shakers in the church. For more reflections on Bible quizzing, click here. 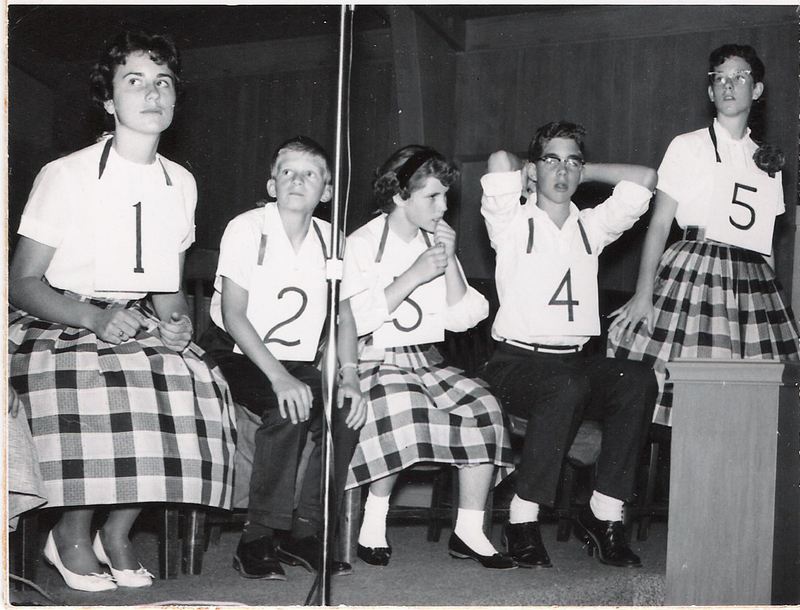 For a slideshow of Bible quizzing’s first fifty years, click here.